You guys. This is such a simple tip, but not many people know about it. 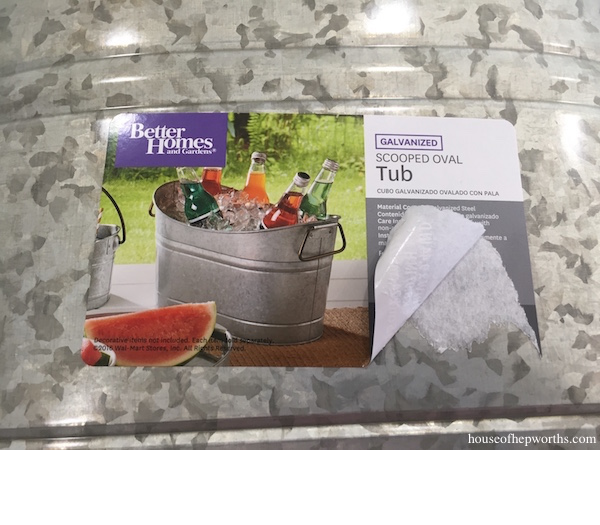 But before I get down to business and share this super simple tip with you, I have to give a shout out to Wal-mart of all places for stocking the CUTEST galvanized containers. 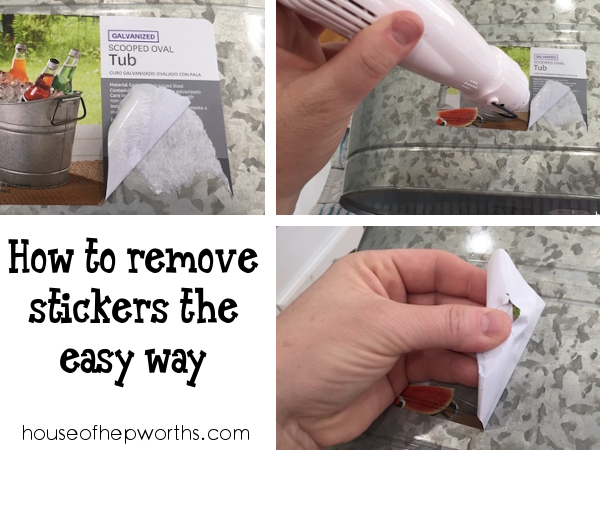 As the title suggests, I’m sharing the most simple tip with you in the history of ever, for getting stuck-on stickers off without leaving the gross leftover residue. I used to use goo-gone to get rid of stickers, but it’s oily and messy and wet. Now I almost always (with a few exceptions like on electronics) peel stickers off with a simple inexpensive item. I tried to just peel these stickers off the bucket but as you can see it quickly shredded and left sticky paper behind. Instead of fighting with the sticker for hours, I just busted out my… HEAT GUN. Yup, a heat gun. My heat gun is the bomb dot come and I feel like I use it all the time. It is by Martha Stewart and is about $20. If you don’t have a heat gun, I’m sure a blow dryer on the hot setting would work just as well. You want to warm the sticker up just a little. 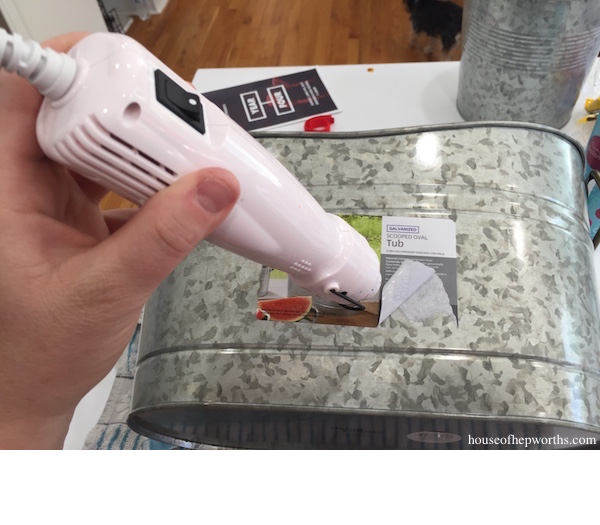 You don’t need to bake the heck out of it and you don’t need to warm your metal up so hot that it burns you. A little heat goes a long way. 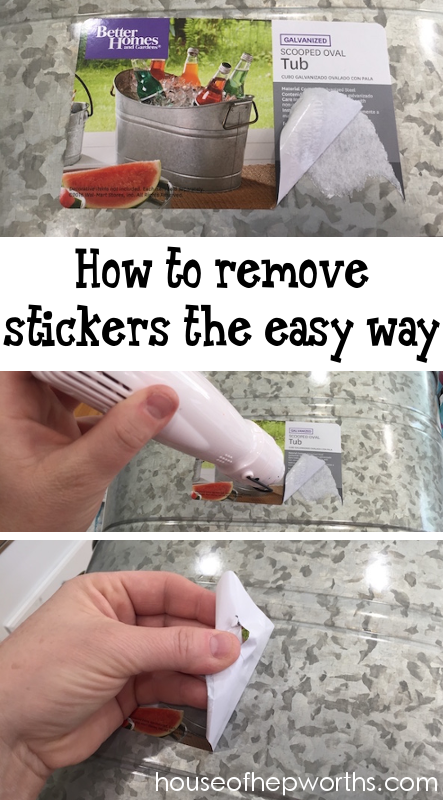 Once you’ve warmed your sticker up just a little, you will be amazed at how easily it peels right off. It’s like magic. Like I said, I use my heat gun on stickers all the time. 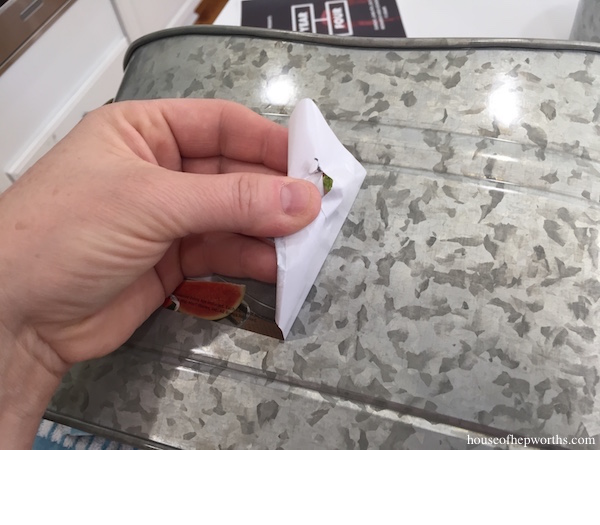 I’ve peeled stickers off windows, cars, home accessories, etc. Check this out, no sticky gross residue! 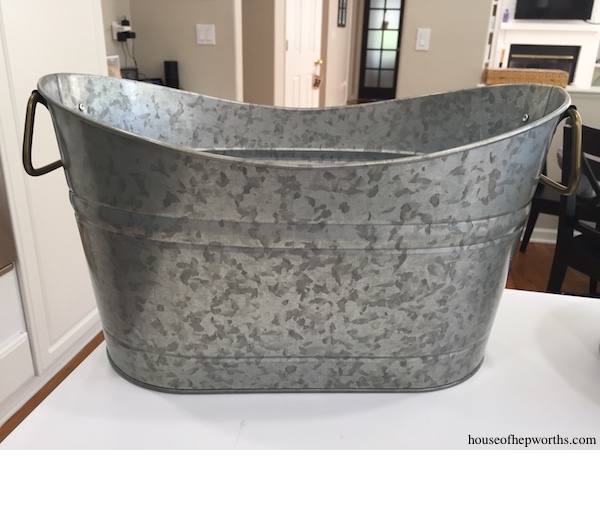 Just a cute new galvanized bucket! 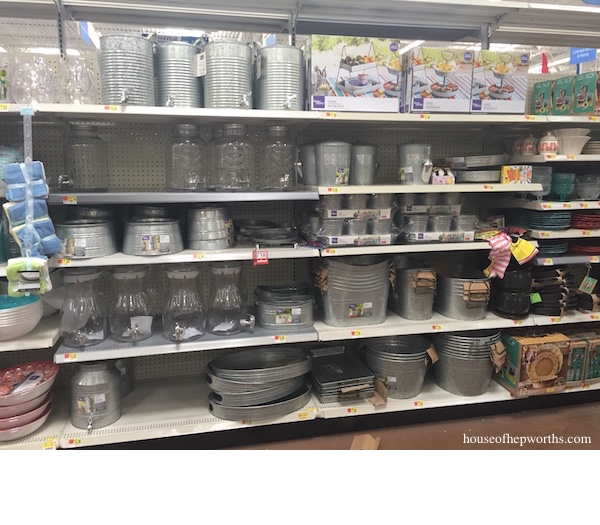 Hurry and get over to Wal-mart before all those adorable containers are sold out! I hope you got some good containers!!!!!!! Well of course, nothing is on clearance at our Grand Junction Walmarts and have never seen some of galvanized pieces you showed. Where in CO do you live? 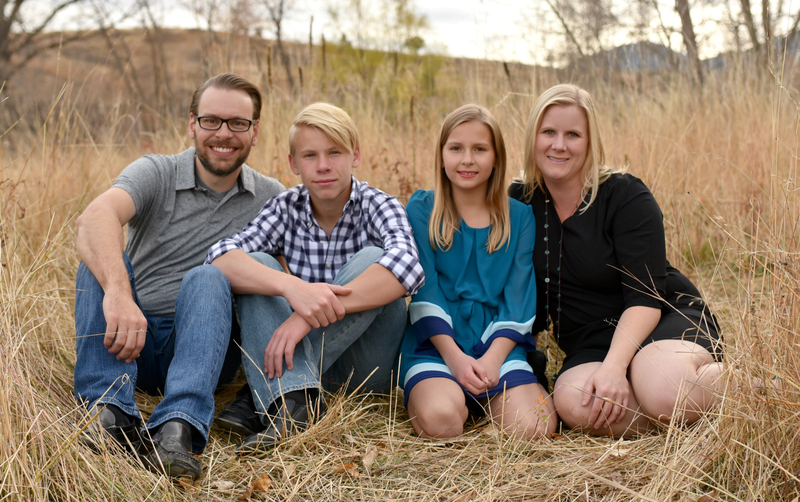 We live few miles west of GJ out in rural area closer to UT border. Wonderful incredible tip, duh, why didn’t I think of that?, common sense. I have a salsa jar I swear the labels must have been cemented on, what a hassle but am determined to get those labels off to make pretty jars for storage and whatever. GooGone barely touched the labels. Have soaked that jar so much should have shrunk by now, lol. Well guess you’ve taught this old lady quite a bit for one night, have great rest of week.